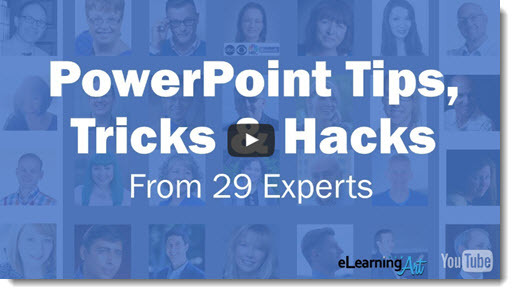 Read through all the tips here. The Presentation Podcast Episode #36 Released Today! The Presentation Summit – Next Month! Where are you going to be at the end of September? If you are involved in the Presentation Industry (designer, speaker, coordinator, trainer, etc. ), I recommend attending the only conference exclusively focused on Presentations! No, this is not a paid endorsement. I have attended and been an invited presenter at almost every Presentation Summit since it began. And I truly believe this is a conference of peers, learning, sharing and having a great time. So if you can make it there, I highly recommend it. TLC Creative Services’ amazingly talented Co-founder (and my lovely wife), Lori Chollar, will be at the Summit with everyone. I have no stress or schedule for presenting – so please say hello, show me your great work, or ask any technical questions – I am completely free to talk and enjoy being with so many great presentation industry people (at least Sunday through Tuesday morning)! 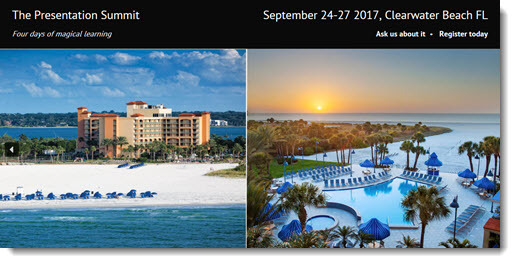 Hope to see you in Florida next month at the Presentation Summit! Currently the dev team at Neuxpower are soliciting user input as they prepare the specs for v8. I sent in my suggestions a few weeks ago and had a great note from them about a number of my thoughts are already in the specs, and few that will be included (yay!). Everyone that is familiar with NXPowerlite should take advantage of this open request for feedback! 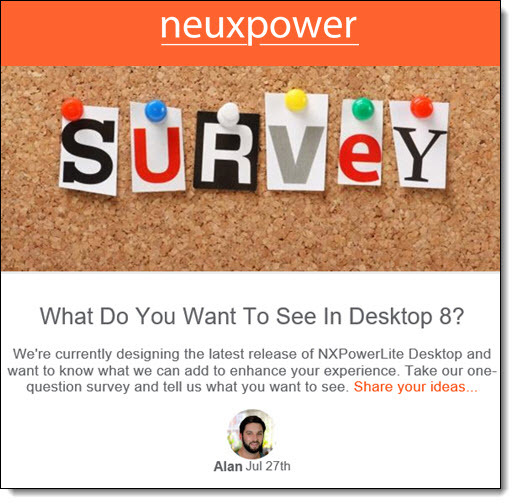 Click here for the Neuxpower NXPowerlite survey. The Presentation Podcast Episode #35 Released Today!